Coach House 1 - Pullwood Bay is a beautiful, stylish cottage in the private Pullwood Bay Estate near Ambleside and the shores of Lake Windermere. 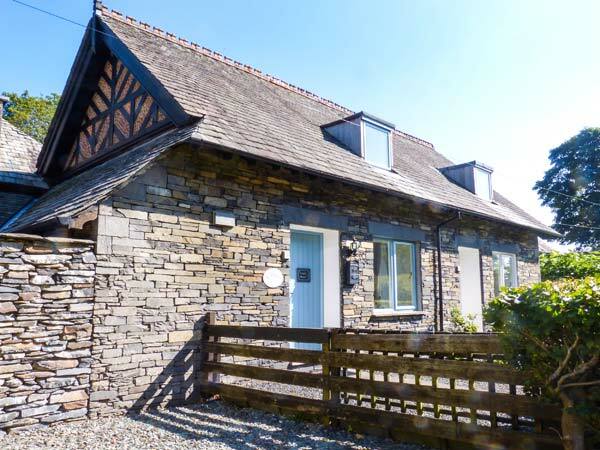 Converted from a coach house, the cottage seamlessly combines traditional tastes with modern conveniences and makes a wonderful escape for families and friends. There are two bedrooms and a small, compact bathroom with a three-quarter bath, along with a fully opening Velux window that offers beautiful views of the night sky on clear nights. 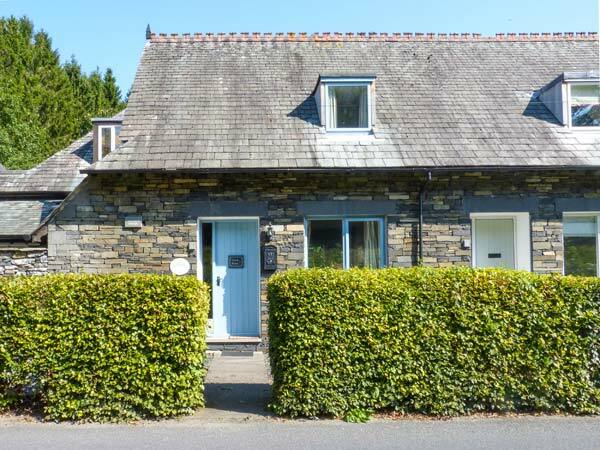 There is a kitchen, a sitting room and a dining table in one open plan room with a feature slate wall, all providing a lovely space to relax in after a long walk or a full day exploring. There is a picnic bench in a private corner of a shared gravel courtyard, non-designated parking spaces in a woodland car park across the way, and a 10-minute walk to the shores of Lake Windermere, a private jetty and a beach. With so many wonderful walks to be enjoyed through the 50-acre estate, and much more to explore across the National Park, Coach House 1 - Pullwood Bay is a fantastic holiday home for all. Electric panel heaters with electric stove. Electric oven and hob, microwave, fridge/freezer, washer/dryer, dishwasher, TV with Freeview, DVD, WiFi, selection of books, games and DVDs. Cot (to be assembled upon arrival). Fuel and power inc. in rent. Bed linen and towels inc. in rent. Non-designated parking for 2 cars in woodland car park opposite the cottage. Private patio with picnic bench in shared gravel courtyard. Sorry, no pets and no smoking. Shop 2 miles, pub 10 mins walk. Estate's private beach and private jetty 10 mins walk. Note: Property on the road connecting Ambleside and Hawkshead, some road noise will be heard at busy times. Note: You may bring your boat with you provided that it is no more than 6 metres in length. Boats, canoes and Kayaks may be stored on your vehicle or on the boat storage car park down by the lake. You may moor your boat overnight on the estate jetty for the duration of your stay at your own risk.